sports, DVDs, Xbox Kinect, jewellery making, hama beads and more. The children are offered a healthy snack when they arrive at Mascot and fruit and vegetables are available throughout their session. We have a large patio area for outdoor play, as well as a very big field to use when the weather permits. We open at 7.30am and take the children to and from school, we close at 6.00pm prompt. The staff are all DBS checked and many have their NVQ level three . There is always a first aid trained member of staff on duty and all staff members have completed child behaviour and safeguarding courses. 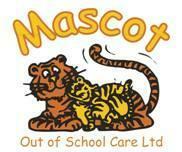 MASCOT IS REGISTERED WITH OFSTED AND HAS BEEN RUNNING FOR OVER 16 YEARS.